Webbuzz is a leading Australian growth marketing agency. Growth marketing is sometimes also known as ‘growth hacking’. – Like any digital growth agency, We exist to boost user engagement with your business across online channels to grow sales. Webbuzz is a team of elite digital strategists, designers, developers, content creators, and analysts who love what we do. We are local Australian digital marketers experienced in the 'dark arts' of growth hacking; we blend art (creativity) and science (data) to grow sales and revenue for our clients. Established in 2014 by directors Darren Moffatt and Ben Carew, Webbuzz has quickly grown to become one of the leading ‘growth marketing’ agencies in Australia. Our directors have direct start-up experience and continue to hold external business interests. We understand and respect the value of your capital, because we’re entrepreneurs too. In addition to our awesome staff, Webbuzz has access to a deep pool of international specialist talent who can get even the most challenging job done. Webbuzz is an end-to-end growth marketing agency. Copy writing: Website & Advertising copy/ Blogging/ Ghostwriting/ eBooks/ Whitepapers/ Email marketing/ Video scripting and production & Animated videos. Design: Web sites/ ad creative/ infographics/ social media content/ logos/ branding. We love to collaborate. We live to innovate. Digital marketing is fun, & ‘entrepreneurial spirit’ is in our DNA. At Webbuzz we help good companies become great, by doing the things we love. Do you have an entrepreneurial mindset? Are you hungry for success? Then Webbuzz is the digital agency to realise your vision. We think listening is more important than talking. Actions speak louder than words (except on the internet). We love strategy and big ideas, but we’re also practical. To bore is to die. Perfection is elusive, but worth striving for every day. Bad communication is our enemy. Poor service, our poison. There is only one shortcut: the wisdom of experience. We never forget the value of a customer. And we won’t stop until we get results. We are WebBuzz, the growth marketing agency. We reject the traditional digital agency/client mindset. Instead, we aim to foster an environment of genuine collaboration with businesses seeking a trusted partner for online growth. Unlike many other digital agencies, we enjoy educating clients on how online marketing works. We’ll mentor clients and share online marketing knowledge as part of the journey together. Creativity is in our DNA – literally. The directors share a creative partnership stretching back 20 years (be sure to ask them about songs they got played on the radio and their U.K tour). We use data for pretty much everything. Our spouses hate it, but you’ll love it! From monitoring campaigns, A/B testing, to validating ideas and assessing results, data informs all key decision-making. We love a good ‘white paper’. Research of industry verticals is the key to effective ‘customer profiling’. We develop strategies based on facts, not guesswork. Our clients enjoy detailed, transparent analytics and reporting delivered in accessible language. We believe in ‘accountable account managers’. You’ll find us to be responsive and relatable people who know their stuff, and who really care about your business. At Webbuzz, we only hire awesome people. We also have access to a deep pool of highly talented contractors who can get even the most challenging job done. Webbuzz people have endless curiousity and a nagging drive to always seek a better way to do things. We’re all over it when it comes to the latest tech, trends & digital tools! We don’t take on jobs just for the hell of it. We only work on projects that we’re genuinely excited about – it’s part of our ‘secret sauce’ that drives us to go the extra mile for clients. Webbuzz is proud to provide ‘growth marketing’ services to a diverse range of businesses right across Australia. Although our firm is based in Sydney, location is no barrier to who we work with - we’ve enjoyed long-term relationships with clients in Brisbane, Melbourne, Adelaide, Perth and beyond. Our digital marketing agency caters to SMEs through to corporates, with a focus on knowledge and service-based industries. The common thread to all our clients: a desire for growth via the online and mobile channels. Whether you’re launching a product, scaling a business, expanding into new markets, or you just need to ‘get more sales’, Webbuzz is among the digital agencies that should be on your short list. Darren is an award-winning entrepreneur and recognised thought leader, with a proven track-record of online success. An experienced digital strategist, he is an in-demand speaker at business events on the topic of online marketing and digital disruption, and regularly features in the media. 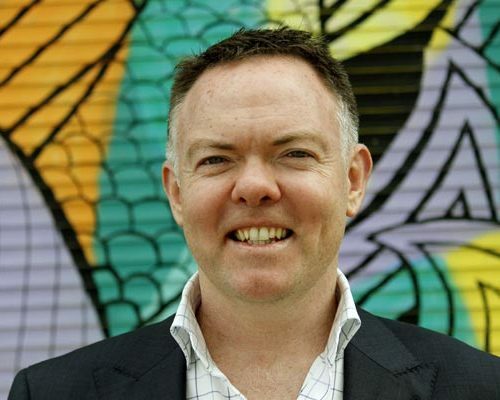 His career began with corporate roles in Westpac, Challenger and Royal & Sun Alliance before launching his first business, Seniors First, in 2006. Darren got into digital marketing early, and quickly grew the Seniors First business online to such an extent that the site out-ranked the big banks on Google for target keywords. Since then, Seniors First has enjoyed thousands of ‘free’ internet leads and today remains one of the leading equity release finance brokers in Australia. In 2012, with co-founder and friend of 20 years Ben Carew, Darren built and launched a tech start-up called Housenet. In 2013 the project was awarded as one of the top 100 Innovations in Australia in the Smart 100 Index. By 2013, business associates were increasingly approaching Darren to help grow their business online too. This led to the formation of Webbuzz, The Growth Marketing Agency, with director Ben. In recent years the reputation of Webbuzz as a leading digital agency has grown, as Darren's focus on digital strategy and content marketing continues to increase sales and profits for clients from a diverse range of industries. Ben is an experienced, highly-skilled web developer-entrepreneur and is the chief 'growth hacker' at Webbuzz. He is a talented designer, but is increasingly obsessed by 'data', customer journeys and conversion rate optimisation. 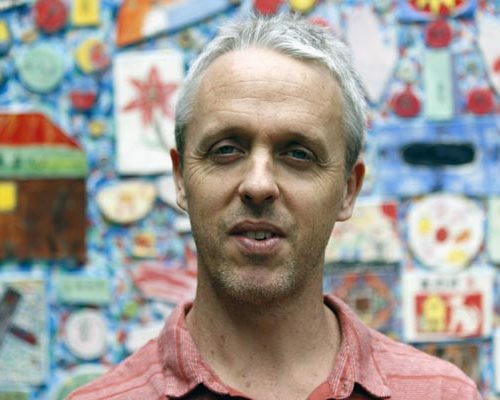 Ben graduated from UWS in 1997 with Bachelor of Communication and a few years later founded Illegal Design, a boutique Sydney-based graphic design and web development business. Ben’s work has attracted prominent clients from government, private enterprise and academia and Illegal continue to work with select clients to this day. Ben later completed post-graduate studies in design at the University of Technology, and in 2012 he co-founded Housenet with Darren Moffatt. This award-winning social networking site challenged Ben to develop new capabilities in user experience (UX) and conversion which are now central to the success WebBuzz clients enjoy. Anna is a skilled digital marketer with years of experience in online content, digital marketing, eCommerce platforms, and management. Prior to joining Webbuzz, Anna has been working for different eCommerce companies developing her content editing expertise while also working as a freelance writer for several blogs of note. With over 7 years of online content experience and as Digital Marketing Coordinator & Senior Writer, this native Spaniard plays a key role implementing digital marketing strategies, with a focus on email marketing, social media, and online content. 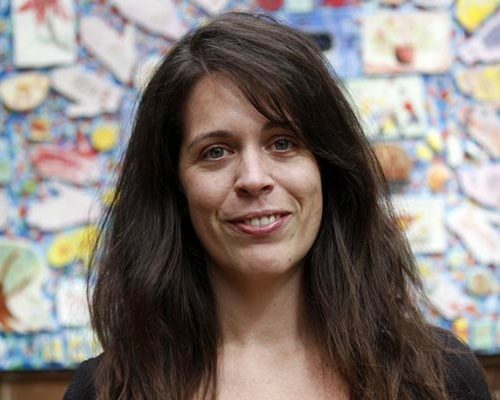 Anna is an AdWords and Video Marketing Google certified, C1 IELTS accredited and writes in different languages. She is a quick learner and pride herself in excelling in any challenge she takes on. Hamiora, or Hami for short, has a background in sales and client relationships and is strongly motivated to achieve results for Webbuzz clients. He enjoys working closely with businesses to understand their target customers and core digital marketing objectives, in order to ultimately grow their sales and revenue. At Webbuzz, he is the link between clients and the Webbuzz team. He plays an important liasion role with the digital strategy and production teams, ensuring that communications between agency and client are always clear, and that each project is implemented on time - and on budget. 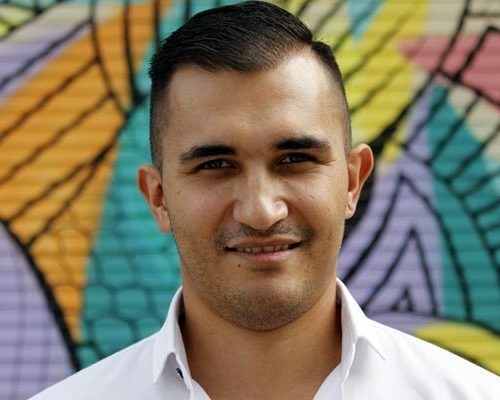 Hami is a native Kiwi, and is keenly interested in the evolving digital landscape and how and tech keeps changing marketing strategy, lead generation, and website development. He has proven capable of expanding the initial company databases, working closely with his pairs to provide a stronger innovative work platform, for future clients, and for sales teams to work off. Arlan is a trilingual writer and social media specialist. He studied Journalism at Bicol University College of Arts and Letters, and currently pursuing his masters in marketing management. He worked as a broadcast journalist and as a news writer for several local media outfits before discovering the magic of content writing and social media as new forms of communication. He writes poetry in his spare time and has published poems in magazines and anthologies. 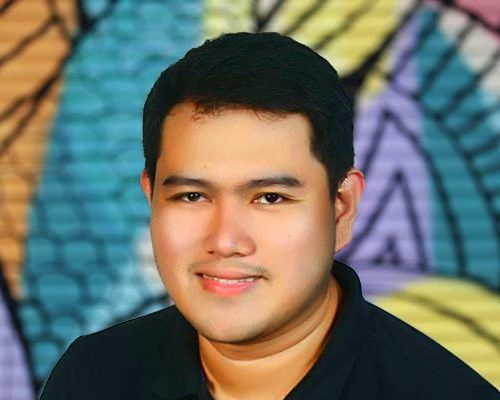 Arlan is also a licensed financial advisor in the Philippines. 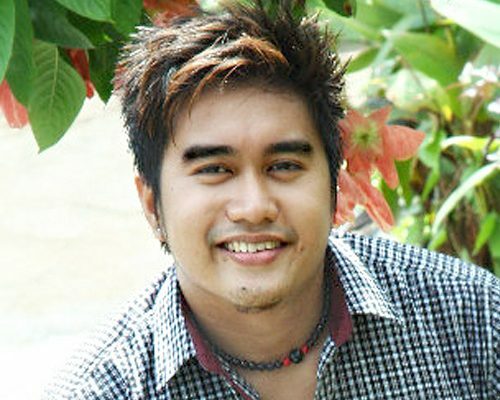 Bryan is a Webbuzz web developer based in Manila, Philippines. He’s been in the web development industry for the past 8 years building websites for clients and doing custom web applications, plugin development, custom WordPress themes, and templates. In his spare time, he loves to read blogs that are geared towards gaming, new technologies, and health. He’s also a musician who plays drums and percussions in a band on weekends. If your current digital agency is no good, you’ll have a hunch something’s wrong.